Victoria is Australia's smallest mainland state, but it has the second highest population of the states. 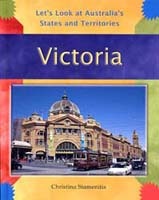 Melbourne is the capital city of Victoria. It is on the banks of the Yarra River, and at the head of Port Phillip Bay. It is famous for its beautiful gardens and for the many sporting events that it hosts each year.